Dom Crosby has signed a new three-year contract with Leeds, keeping him at the Rhinos until at least the end of the 2021 season. 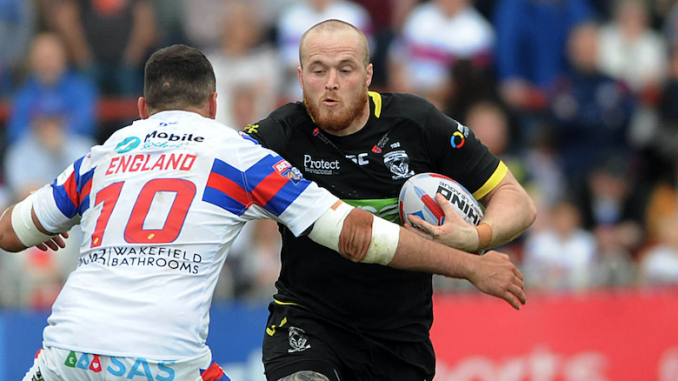 The 27-year-old joined Leeds on loan midway through the 2018 campaign from Warrington Wolves and made seven appearances to help Kevin Sinfield’s side avoid relegation. Crosby came through the ranks at his hometown club Wigan Warriors, where he played 102 games. He found chances limited at the Wolves though, making just 17 appearances. On signing for the Rhinos permanently, Crosby said: “I’m delighted to have signed with the Leeds Rhinos for the next three years and I’m extremely excited and grateful for this opportunity. Leeds’ director of rugby Sinfield commented: “We are pleased to have secured Dom for the next three years. “He impressed everyone at the club with his attitude on and off the pitch and I am sure he will make big strides after a full pre-season with the Rhinos. “As we look towards a new era for the team, it was important that we secured players of Dom’s experience having been a winner during his time at Wigan and I am sure he will have a big influence on the group, especially our young forwards.